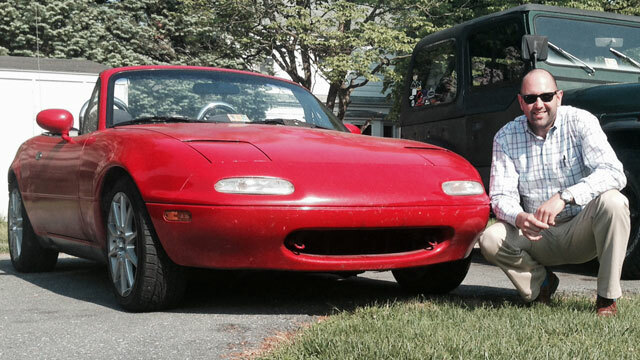 Congratulations to Jeremy on the selection of his 1990 Classic Red as our Featured MX5 Miata! 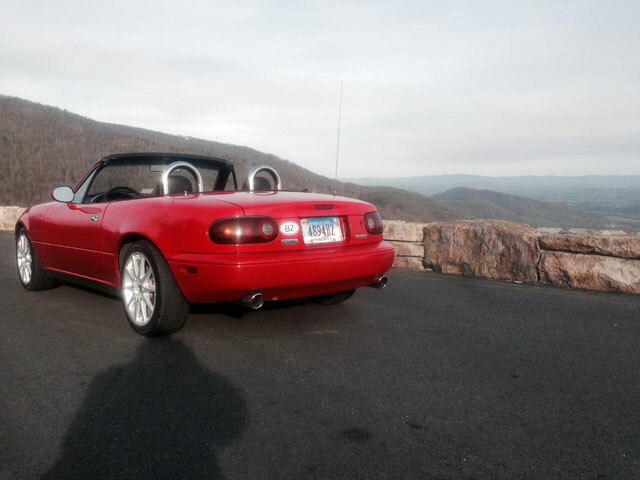 I have had three NA Miatas, all red. 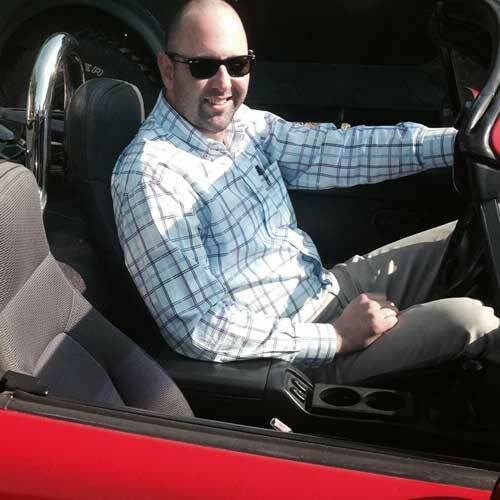 My first Miata was a 1992 base model, meaning no power... anywhere. Even though limited, it was one of the funnest cars I have ever driven, with the exception of the other two. Power steering makes a huge difference! I ended up trading the first one in on a large sedan that was more practical for that time, or so I thought. 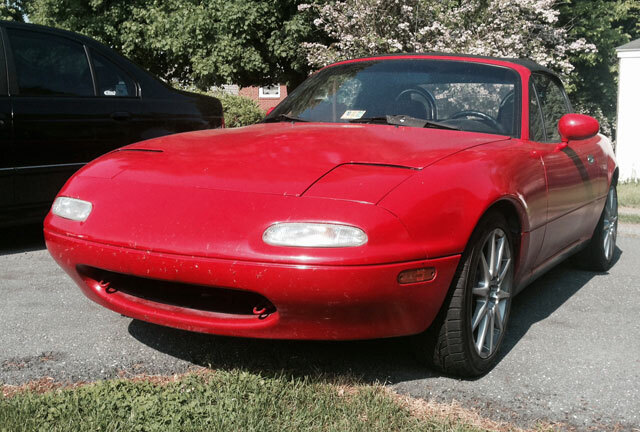 Later on, I felt the itch again and ended up purchasing my second Miata, a '91, as a leisure vehicle. 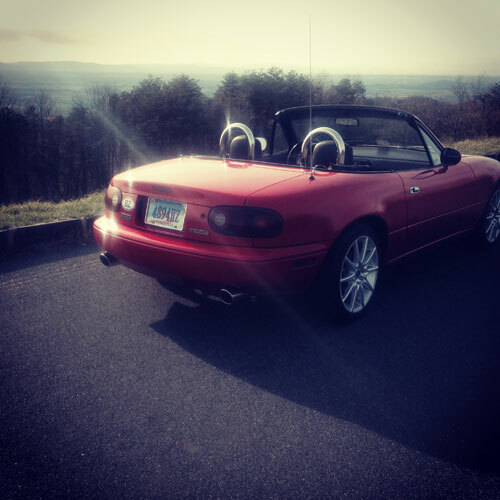 Living at the base of the skyline drive, I felt it was necessary. A couple years after that, my wife and I had moved over seas and a lot of things had changed, that was one of the first things that had to go, but not easily. Its been several years since that day in 2004. I had kept a lot of the parts for that car, in hopes to one day install. I've had roll bars, wheels, springs, etc. crowding storage space to some day use or sell if in a pinch. Then this car found me... I was not car shopping, as much as my wife would argue, this Miata was looking for me. I was at our local resort skiing early this winter with some friends and one of them mentioned this 1990 Miata that he had and was having some trouble with. Many of the cars I've had, I had gotten because they were cheap and I could spend the time restoring them, and this one had been sitting a while. And it would sit a while longer. While on the slopes that night another one of our friends, and my cousin, had a bad fall into a ravine and had to be rushed to the Hospital with a fractured vertebrae, after we had worked with ski patrol for 3 hours to extract him. Needless to say, the Miata was immediately forgotten. In the following months life was busy. My cousin was in recovery, his wife expecting a baby, so our thoughts and prayers were focused on them. I had an overseas trip to take for a work being started with a new non-profit company that I was in charge of which was, and is, still getting it's feet off the ground, plus working 2 jobs, one as a Manager of my father's automotive business, another Pastoring a church, kept me so busy that, at times, I would think about the car, but was so far from even considering it that I didn't even go look at it. Then I had other car trouble. A small Nissan Pickup that I ran as a daily driver for my commute to work, which is an hour one way, was giving me trouble so I decided to sell. I put it out in front of my business and within 48 hours I had cash in hand! I was contemplating what to do with the money, I had made $1,600 off of the truck, and I knew that my friend was asking much more than that for his Miata, so I didn't even ponder it. My wife and I had various plans that we discussed for the money, well, she discussed, I wanted another car to replace my DD, but it's amazing how many things need to be done around the house when you have a little extra dough. And then he calls... Out of the blue, three days after my truck sold, offering the Miata at a lower price of $1800. Well, it was worth the time to look at it right? My wife didn't necessarily agree. It was love at first sight... again. It definitely needed some TLC, it wouldn't start due to a dead battery, and had been sitting since mid summer before. This was March, warmer weather was coming, and at the sight of that little red, yes red again, roadster I was getting the itch! Everyday on my way home for the following few weeks I would take a detour just to go by and see it sitting there in that parking lot as an abandoned child needing a home. The body covered in leaves, sap, dirt; everything fall and winter had dumped on it. Finally I got my wife to agree to come look at it with me and to my surprise, she was as excited as I was, after all that was the car we had dated in so many years before. Here we are almost 13 years later and we both feel like teenagers again sneaking around behind our parents backs, zipping through town, avoiding a chaperon because, 'I just don't have the room'. So the negotiations begin. I brought a battery, and he brought the title. To my surprise, the car started right up following the installation of the new battery, and I went for my first third MX-5 test drive. I brought my 7 year old son along with me and, well what do you think? He's 7, he loved it! It desperately needed tires, the parking brake didn't hold, and a tune up was in order. After talking for a few minutes my friend gave me his firm price - $1600.00. With title in hand I drove to the shop. New tires on the 16" wheels being held in reserve, I might as well go ahead and install the lowering springs while I'm at it, right? Roll bar? why not, now I have more room for storage in my shed. The e-brake was a simple adjustment that other Miata owners I'm sure are familiar with. With a good cleaning and fresh coat of wax, I can't quit pulling the shades back and looking down in my driveway at the new piece of candy sitting there waiting for the parkway. I've had the top down almost everyday. This is so much more than just a daily driver.